The crunch of these snacks was just as good as can be found with most Crisps, but it was not the same. They did not crack, break or splinter. When bitten through, the snacks provided a good consistency, but it was like biting through small bubbles rather than potato slices. These looked particularly interesting. The bobbly surfaces were a bit like polystyrene, but also a bit like coagulated Rice Krispies. Certainly nothing like Potato Chips or Crisps. They were a very pale yellow colour. A Nose Plunge Test revealed a strange aroma. It was a bit like sniffing one of those empty vegetable trays that are awaiting replacement in the supermarket once emptied. 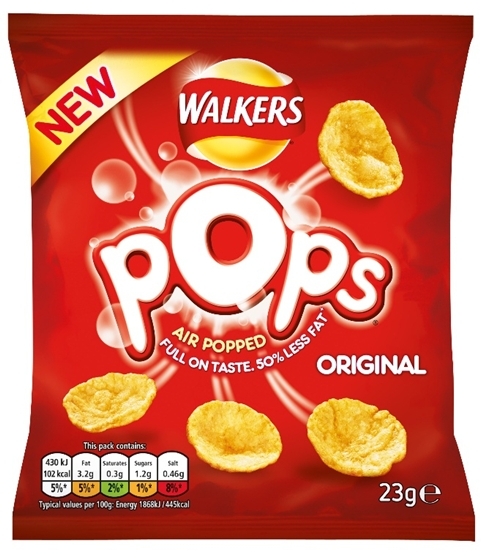 We would also like to make it clear that the main reason why the 84 Calories count is so low is not because of the style of snack, which it what the marketing gurus have been so good at convincing the public, it is because there are only around two thirds of the content of many Crisps in the UK. Add a third in content and calories and the total would still be fairly low, but not necessarily lower than many diet oriented snacks. As for the flavour, well it was mildly salty and actually quite moreish. There was a sweet undercurrent to a plain snack flavour.